Why NACM Commercial Services Collection Services? 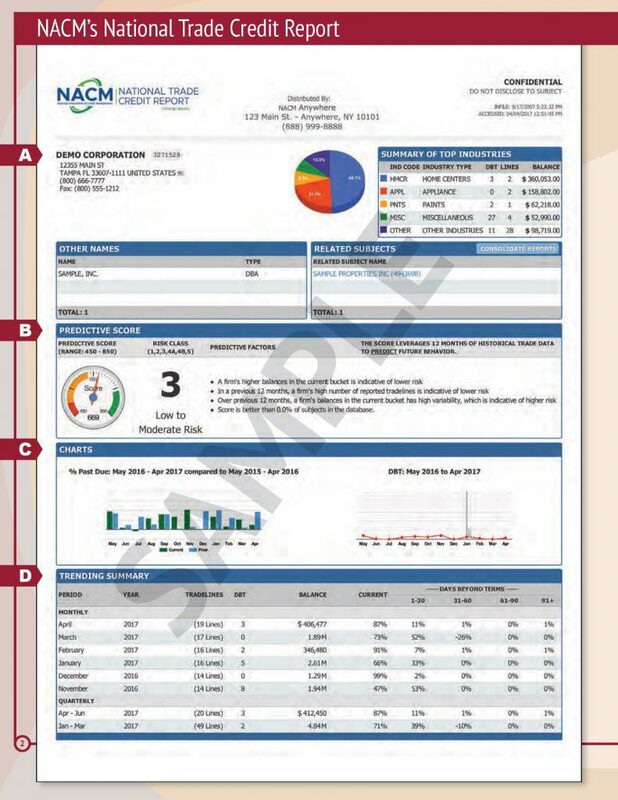 The NACM National Trade Credit Report (NTCR) is built from trade experience which is the basis of most credit decisions. The NTCR database brings together credit experience gathered from members and customers of 36 NACM Affiliate offices and more than 1,000 trade credit groups. The database includes more than 10 million current lines of trade credit experience and additional experience up to 2 years old. 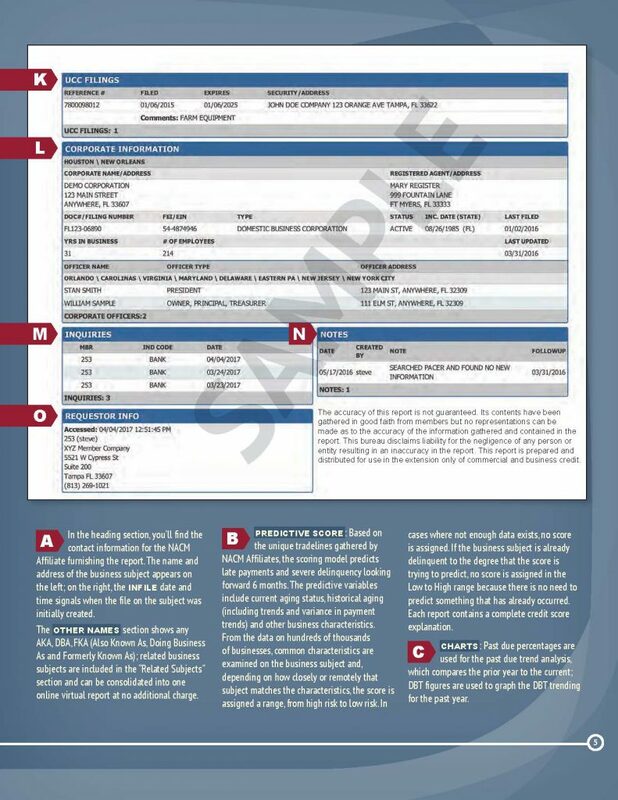 Also included is information relating to alerts issued by creditors (when applicable). See here for a sample report. A listing of individual company experience organized into sections by contributing NACM Affiliate. 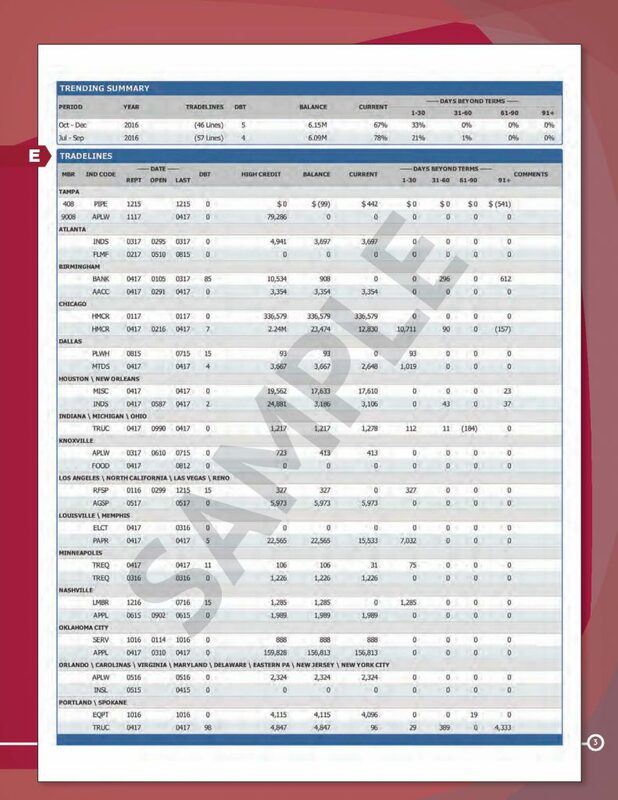 This includes a summary of creditor experience with the subject, Monthly and Quarterly Trends, & a predictive delinquency score and a risk class, based on more than 40 factors, with the most prominent listed. Charts showing percentage past due and days beyond terms. Alerts (if available) as submitted by other creditors. 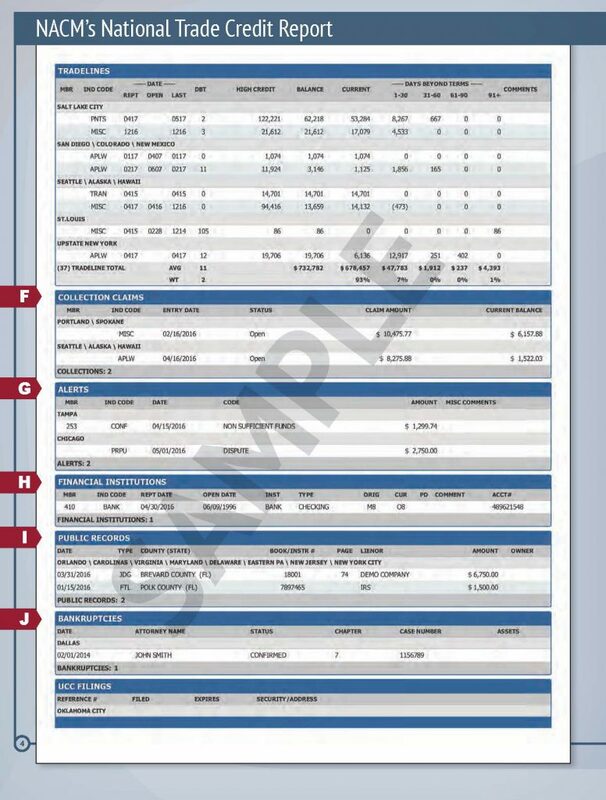 Public record information is available.